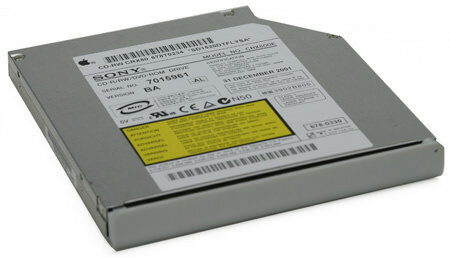 This is a replacement CDRW drive for the white iBook. This does not include a drive faceplate bezel. You will need to transfer the bezel from your current drive to this one or order a new bezel. This is a bare drive, so you will need to transfer your mounting bracket from your current drive to this drive.